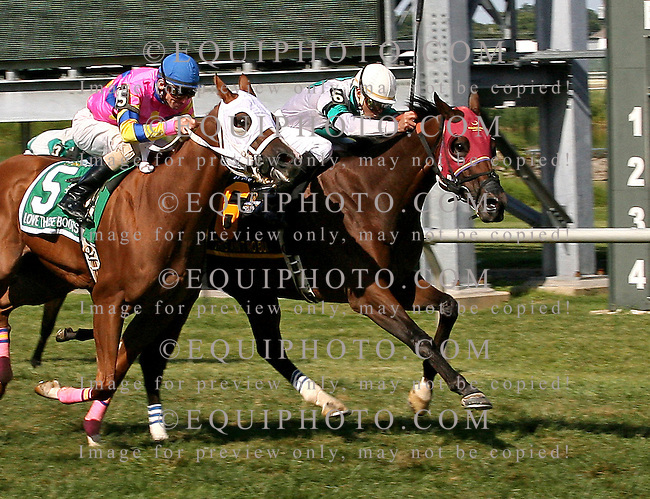 This Ain't No Bull #6 with John Bisono riding, won the $75,000 Marshall Jenney Handicap on PA Breeders' Day at Parx Racing in Bensalem, PA. 2nd was #5 Love Those Boots and Forest Boyce. 9/7/13. Photo By Barbara Weidl/EQUI-PHOTO.